Questions for Scotia: What are these bumps on my hands? When I first touched my clients hands for her manicure, I had actually thought that I hadn’t rinsed my bowl well enough and there was left over scrub in it that was coating her hands. Each little blister was small, not filled with fluid and hard. She then told me about her condition and said that she wasn’t too sure what caused it but her doctor had told her that it wasn’t contagious and was a form of eczema. 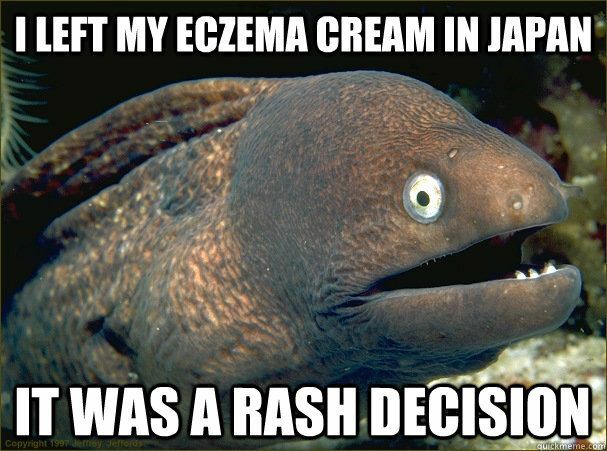 “Eczema is a condition causing skin inflammation” pretty vague….pretty much any skin rash is a form of it unless its a specific disease. I have been researching it because I was very curious to know more about it… but like many skin disorders.. exact causes are sometimes too many to count to pin point anything. When it is on the hands, as any type of eczema: it can affect your nails. In my clients case, her nails had deep ridges and were thicker. This is from the blisters creating track lines in the nail matrix where your nail is formed. You can easily mend this by buffing the top of your nails. The ridges will always come back when you have this skin disorder but at least you can manage your nails. I suggested to her to try to maybe use a glass file to buff down the hardness of the blisters, and maybe try a mix of exfoliating scrub and a cracked skin cream. When they blisters aren’t as hard and dry and the surrounding skin is plump and moisturized it helps keep the itch away.